The weather this summer has not been conducive for sunsets. Many rainy evenings over the past month have masked the Sun on the horizon. Other times, when it looked promising, haze in the atmosphere had the Sun disappearing before it set. 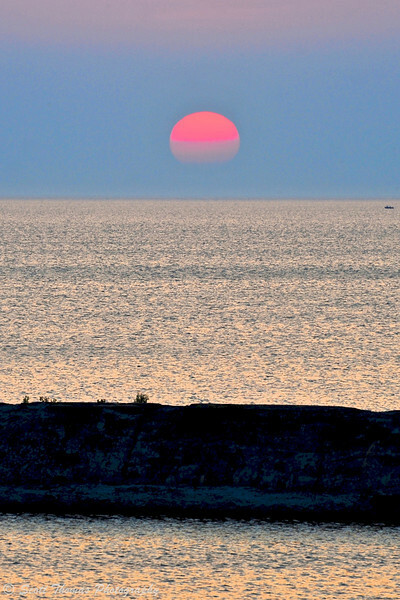 A hot and humid summer day ends with the Sun setting into the haze over the Oswego Harbor as seen from Breitbeck Park in Oswego, New York. Nikon D700/28-300VR, 1/30s, f/16, ISO 200, EV -2.0, 300mm focal length. Finally, the rain stopped and the humidity dropped. 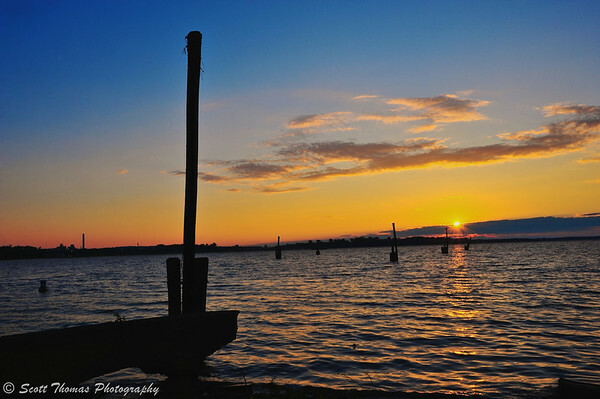 Walked out to the end of the Creekwalk in Syracuse, New York to photograph the sunset over Onondaga Lake. Alas, clouds on the western horizon obscured the Sun. An almost sunset on Onondaga Lake at the end of the Creekwalk in Syracuse, New York. Nikon D700/28-300VR, 1/80s, f/22, ISO 320, EV 0, 35mm focal length, tripod. Sometimes the sunset is only the first act to a more colorful second as I found out on the rocky shore of Lake Ontario near Oswego, New York. 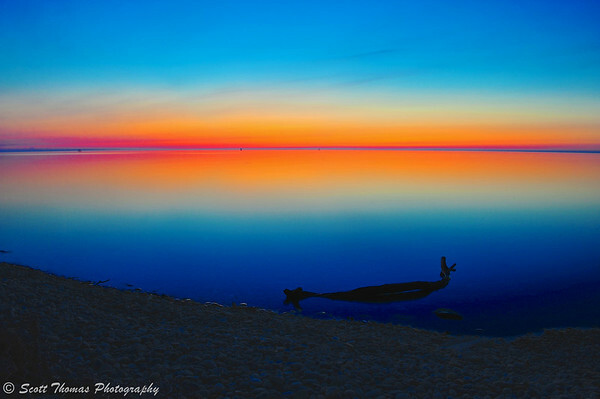 Colors after sunset at Rudy’s Lakeside restaurant on the shore of Lake Ontario near Oswego, New York. Nikon D700/28-300VR, 13s, f/16, ISO 200, EV 0, 28mm focal length. There is only a week left before this month’s assignment on Summertime is due. Maybe I will find a sunset worthy of summer by then. This entry was posted in Nature and tagged 28-300mm, blue, break wall, breitbeck park, calm, clouds, color, harbor, haze, hazy, horizon, hot, humid, Lake Ontario, new york, nikon D700, onondaga lake, orange, oswego, posts, quiet, red, reflection, rocks, rocky, serenity, shore, shoreline, silhouette, summer, sunset, syracuse, tripod, twilight, vr, water, wood, wooden, yellow. Bookmark the permalink. These are all really pretty Scott! I love when Mama Nature shows off her color palette! She does love to show off. People are not patient enough to wait for it. Right back at ya! I see your posts on FB. Don’t be a stranger, ya hear? I love chasing sunsets too. Lately mine have been of cane. I love the last photograph! All are tremendous to look at though. Impressive pictures and colours ! The first one is very unique and beautiful. Wow Scott, these are such vibrant images. Something exciting always happens when blue and orange come together but I seldom see such intensity in the dawn or sunset colors here.